The number of special constables in England and Wales is heading towards its lowest level since records began, researchers have found. Across all forces there has been a 41 per cent fall in their number since 2012. In the past some thought the big drive to recruit before the Olympics which saw numbers rise from their historic low of just under 11,000 in 2004 to more than 20,000, could account for the fall in the years following the Games. But numbers are now down to 11,690 across the country, and the rate at which specials are quitting has shot up in the last two years. A study of the special constabulary by the Institute for Public Safety, Crime and Justice has noted the trend, using figures going back to 1972 - when there were more than 30,000 specials. Dr Iain Britton, who worked on the report, said the Olympics theory is only part of “a much broader picture”. “The rate of resignation of specials remains high across a majority of forces, with a third leaving each year nationally. This is partly driven by specials resigning to become regulars,” he said. He added: “Very low rates of recruitment in many forces have also been a significant factor, particularly over the past two years. The volume of recruitment nationally into the specials is close to being at an all-time low. "This appears to reflect issues of limited resourcing in forces, with recruitment and training capacity being committed to regular officer recruitment, more than it does wider issues of reductions in interest in volunteering." Only British Transport Police, West Mercia, Leicestershire and Northamptonshire have more specials now than they did in 2012. Declines of more than 60 per cent have been seen in the West Midlands, Gwent, Surrey and the Met. two-thirds feel that some of their time is wasted. Ian Miller, chairman of the Association of Special Constabulary Officers, said: “Managing specials and volunteers is completely different from managing regulars, but many forces haven’t appreciated that in their approaches. A Home Office spokesman said: “Volunteers in policing make a vital contribution to keeping our communities safe and we were pleased to recognise their achievements at the recent Lord Ferrers Awards. Chief constables have recently agreed a new national special constabulary strategy, after more than 18-months of discussions about the document. It announces the formation of an NPCC working group for specials, and promises stronger links between the special constabulary, Home Office and College of Policing. The number of regular officers is at a near 40-year low, with chiefs warning that this could fall by an additional 10,000 if additional pension costs are not centrally funded. I've seen a number leave because they thought it was an "easy" way in to the regs. When they find out it isn't they get annoyed. Others who think it is all blue lights and fighting, and many who just don't understand waiting around for stuff to do. Personally I find it is what you make of it. There is this, but they are still recruiting. Though they have restructured and are reducing the numbers for operational reasons. Less SCs with higher levels of training makes more sense than 500 SCs, 75% of who can't go out on their own. @Beaker, re above, i think you are pretty much on the mark there. Although i retired just more than a couple of years ago our force did spend an awfull lot of time and effort to explain to potential specials the realities of the role before they commited to the job.From what i saw of it all it didn't stop the vast majority continuing with the paperwork etc, what did they have to lose. I recall one young lady [in a meeting we held for prospective applicants]] saying in no uncertain terms that it was not for her., and that was fine. On the other hand we had one who never did even half an hour of duty for the specials after being sworn in before starting with the regs.There is no doubt that over the years the training has got much more intensive.I always thought that was one reason we were not able to recruit many people to join who had no intention of joining the regulars . Regarding the last sentence of your letter. As I'm sure you and others are already aware ‘self actualisation” is top of the triangle list in Maslows “Hierarchy of Needs”. I wont go into the other needs he put forward but it will be on the net somewhere for anyone who is not familiar with it. When i was first promoted we got this training about management and this theory was part of it. I remember thinking whats all this cobb——-s. But when i analysed it over the next few days i did recognise a pattern which i saw in our specials and why they were volunteering, turning out on rainy cold weekend nights and on bank holidays etc. Integration with the regulars was always my key aim, it was at the top of the list of things to achieve. In all the time i was in the specials i only recall two regulars who were very anti special, [i worked with hundreds over the years to put it in some perspective] one of them i was never sure if he was just winding me up at times there is no doubt i was very very lucky being a special where i was, i was very happy doing anything they wanted me to do . @Pathca. Whilst monetary reward was not an issue with me personaly i must confess that when they did away with our thirty pounds boot allowance many years ago, [so many hours a quarter to get seven pounds fifty] i was not a happy camper. I needed a force paid for pair of boots like i needed a hole in the head. I looked forward to having a good meal out and a couple of pints on the proceeds, it used to taste even better knowing the force was paying for it so to speak. it of course just went into my bank account and so it all got muddled up with the rest of it but i pretended that it was the same thirty pounds.😀.Rich. There is also the problem that, at the moment, the Police in general are, perhaps held is less esteem than at any other time. Still no shortage of applicants though. No so sure of that. The Met recently changed their requirements too attract more candidates. For Specials I mean, though when regs recruit they're equally snowed under up here. Unsurprisingly, do a job that is difficult, sometimes dangerous, sometimes unpleasant, for free, is a hard sell. - A surge in recruitment for Specials just before the 2012 Olympics; a short term drive will boost numbers in the short term. However, with natural wastage there needs to be a continued effort to recruit further staff to maintain numbers. It's also easy to surge recruit, but fail to look after your volunteers, so interest fades and people choose to leave. - People leaving to join the Regulars. There was a recruitment freeze for some years, and then a change in policy when the Tories came in. 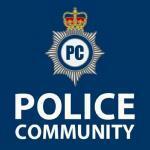 Were lots of people joining as Specials to get the experience to join as Regulars? - I've seen age stats for the Special Constabulary - a large proportion quite young people (18-25ish). What are they moving onto, does it give them experience for a career? Do they settle down and have a family? Do they move areas? - We've been through a period of austerity. Are people, instead of volunteering, picking up extra shifts and overtime? Or a second job? - Tying into the above, how does this compare with volunteering for other emergency services, or generally. Do people (this is a job for Specials leadership really) conduct exit interviews when people leave? Or keep track of how many are joining as Regulars/PCSOs, or are moving away for uni? I'll admit to being slightly sceptical at the 'national programme for proper leadership' - if anything I'm of the opinion that Specials should be better integrated into their force (I work for Westshire Police, not the Special Constabulary). The NPCC working group is something I think is a step in the right direction - if this leadership is going to go anywhere I would expect it to feed into the normal police structures, surely. There's no point the Special Constabulary making the effort to get a Porsche 911, and then finding out that the Regulars want you to help them move house - it's not very helpful or supportive, is it? I'll confess, I massively underestimated how much MFH and MH I'd be on with, compared to the blue lights and the scraps. I think that was my naivite. Richhamdo - massively agree with you on the self-actualisation bit. I think it also feeds into the 'Esteem Needs' - my day job is sometimes slow and frustrating, and coming away from a police shift where I can see that I've done some tangible difference is a complete 180 on that. As is, having a bit of banter with the Regulars (I'll find myself working a certain set of hours so I can see people I've not seen for a while), or a 'Thanks for your help/Thanks for coming in' at the end of the shift - if people enjoy it, and can see a benefit to what they're doing and (I don't think I've ever come away with a warm fuzzy feeling, but ) coming away thinking 'I did a good job on that one' is a good driver. I think it's true to say a factor in the decline in numbers is the realisation that policing is not all about blue lights and fights, but I also think a bigger factor is because the police face so much criticism no matter what it does now, and often from the very people who should be supporting us. I had many reasons for stepping down a while ago and there probably are many reasons for the decline now. There wasn't one factor which swayed me, but a multitude of them, however, it was because not least of the constant bashing we were getting from the media, politicians, the rich and famous, added to Increasing demands such as 'she called me fat on Facebook' and then the courts who sat idly by as colleagues tried to get criminals into prison. The article notes that many see it as a waste of time: from my point of view it wasn't the fact I was never thanked (I frequently was), but the fact the police are working ever harder to fight crime, but are continually let down by the courts, hampered and restricted, yet achieving nothing yet are the ones facing criticism for it. Even as I was leaving, along with a string of other PCs SCs, we were asking 'why are we [the police] even bothering?' That, I'd venture to suggest, is the waste of time, rather than five hours of walking around the town on a Saturday morning being seen as a waste of time. I was watching a fly-on-the-wall police programme just last night. Two officers had tried to stop a driver for various reasons, but as they abandoned their pursuit, they came across the abandoned car. The officers found themselves being surrounded by an increasingly hostile crowd who started to pelt the police car, then the officers, with eggs and then stones - one officer was hit, one stone even cracked the windscreen. Did the police call for back up? No. Possibly because they couldn't in light of numbers, but what did we see the police do? Meekly leave the scene as fast as they could, whilst trying to maintain an air of nonchalance. What sort of message does that send out, firstly to the crowds who now think it perfectly acceptable, if not fun, to pelt the police, but to potential police recruits? Something has gone seriously, seriously wrong.